Focus on eating 6-9 servings of vegetables per day, including the full color spectrum. For more information on why plenty of vegetables is so important, please see my course on oral tolerance. Elimination/Reintroduction: This protocol is intended as a elimination diet to quell inflammation and immune response, then a reintroduction protocol to determine food sensitivities and know the best foods for you. For more details on how to go about reintroduction, please talk to your healthcare practitioner. When considering this diet the fist thing people ask is what can they eat. In fact you’ll be eating the way people ate for most of human history — there’s plenty of food that doesn’t come from a factory or an industrialized farm. Of course, if you have an intolerance to any of these foods, don’t eat it just because it’s on this list. Quality meats: beef, chicken, bison, pork, lamb, turkey, and wild game. Select hormone-free and antibiotic-free chicken, turkey, and lamb. Chicken has high Omega 6 content; eat in moderation, and if you consume more, also eat a lot of Omega 3 oils to compensate (see bottom of this section for proper ratios). 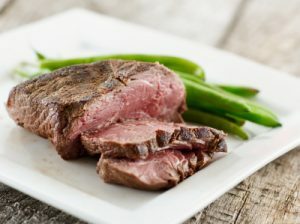 Select beef that is grass fed, hormone free, and antibiotic free. Best choice are locally-raised grass-fed and pastured meats; second best is organic. Avoid factory-farmed meats that contain antibiotics and hormones. Fish and shellfish: Seek out ocean-caught cold water, low mercury fish with high fat content. Swordfish, most tuna, and king mackerel are very high in mercury. Probiotic and fermented foods: sauerkraut, kimchi, pickled ginger, fermented cucumbers, coconut yogurt (guar-gum free), kombucha, water kefir, coconut milk kefir, supplements, etc. You may need to make your own or buy one of the few brands that are genuinely fermented and free of sugars or additives. Also, search for information about anaerobic fermented foods in air-tight containers; these ferments do not produce histamines that some people react to (including rashes, digestive upset, inflammation) commonly found in aerobic, or open, ferments typically using mason jars. Vinegars: apple cider, balsamic, champagne, coconut, red wine, sherry, ume plum, white wine. Avoid grain-based vinegars: rice and distilled white. Other: herbal teas, carob, rooibos tea, deglycyrrhizinated licorice (DGL) (but not whole licorice root), vanilla extract (if cooked). In moderation: fructose (in fruit and starchy vegetables), pomegranate molasses. Very occasionally: maple syrup and maple sugar, honey, dried fruit, dates and date sugar, molasses, unrefined cane sugar (sucanat, evaporated cane juice, muscovado). Each person has unique tolerance to sugars — monitor your response. Grey areas depending on individual sensitivities: legumes with edible pods (green beans, snow peas). Whole bean coffee in moderation (caution: many instant coffees show gluten contamination). Sugars: Some people have strong reactions to even small amounts of sugars; monitor your response. Seaweeds (high in iodine): Some people with Hashimoto’s may not do well with additional iodine in the diet. A note on fatty acids: Consuming a proper ratio of omega-6 to omega-3 fatty acids is key for minimizing inflammation in the body. Too much omega-6 is highly inflammatory, so it’s important to get enough omega-3 (anti-inflammatory) to compensate. The average American ratio is close to 25 parts omega-6 to 1 part omega-3, resulting in high levels of inflammation. Researchers recommend a ratio of omega-6 to omega-3 fatty acids that ranges from 1:1 to 4:1 for optimal health and prevention of disease. Seeds: chia, cocoa, flax, sesame, sunflower, instant coffee (many brands tested for gluten contamination). Stevia and non-nutritive sweeteners: acesulfame potassium, aspartame, neotame, and sucralose. When transported through the gut wall into the blood stream, leptins can also set off an immune reaction that further damages the intestinal wall and sets off systemic inflammation, further supporting the autoimmune reaction. Grains, legumes and some other foods present problems for other reasons. Research has shown that many gluten-intolerant people cross-react with other foods. In other words, their body erroneously recognizes other foods as gluten and reacts with an immune response that destroys not only the food proteins, but bodily tissue. Other common cross-reactive foods include dairy, chocolate, sesame, and instant coffee. Fortunately it is now possible to test which foods might be provoking a cross-reaction to gluten, which you can read about here. Tree nuts are one of the top allergens and food sensitivities. Leaky gut is exceedingly common in autoimmune patients, and it increases the likelihood of developing food allergies and sensitivities. By removing seeds and nuts from the diet during elimination phase, one is better able to determine if a sensitivity exists. Nighshades contain digestion-resistant and gut-irritating lectins, saponins, and capsaicin (a steroidal stimulant) that can contribute to leaky gut, as well as pass through the gut lining and contribute to systemic inflammation and immune reactivity. This dietary and lifestyle protocol is powerful on its own, however to boost the repair and recovery effects, please work with a qualified healthcare practitioner who understands the connections between gut health and the brain, immune system, and endocrine system. He or she can provide you with proven nutritional compounds that have been shown to significantly aid the process of repair and recovery and unwind self-perpetuating inflammatory cycles in the gut and body. To learn more about why these foods are so important to include or avoid, please see my Oral Tolerance and Save Your Brain courses. I am working on a book dedicated to leaky gut, gluten, and autoimmunity. I also highly suggest my newest book Why Isn’t My Brain Working? to learn about ways your brain plays a role in your gut and immune health. I was wondering if this protein shake: https://www.amazon.com/Vega-Essentials-Nutritional-Shake-Vanilla/dp/B017GOYYPY?th=1 follows the protocol for this protocol. If not, are there any other protein shakes on the market that would follow this? If that’s the case if you could recommend a specific brand I would appreciate it. If you study the foods list in Dr. Kharrazian’s diet protocol and compare it to the ingredient list on this product, you’ll see that it does not meet the protocol’s standard; it contains seeds, gums, quinoa (pseudo grain), and seed oils, all of which are prohibited for their own reasons. When people are new to the dietary protocol’s yes/no list, it seems there are a thousand things to remember, but as you get more familiar with it, it becomes automatic to pick out the ones to watch out for. Sorry, but Dr. Kharrazian doesn’t recommend or promote specific brands for products, because it’s impossible for him to keep track of changes in ingredients that may affect patients negatively. He does talk about specific herbal/botanical ingredients in his books, but not by brand. Also, he prefers to leave it up to the individual to decide which products to use, depending on their own unique sensitivities – for example, one person may be sensitive to the rice powder, magnesium stearate (a common filler in supplements), or inulin in a product, while another might not. There are however some protein powders (ie: not shakes – but powders one can use as a base for a shake or smoothie) on the market that meet the protocol list – if you google “AIP compliant protein powder” I think you’ll see some options. Again, if you have sensitivities to any AIP-approved items, be sure to read the entire label to make sure they are not contained within. Hi I have a hard time eating the right thing for breakfast with the food items allowed on this list. would you have any recommendations? When one is new to the dietary protocol, it does seem like breakfast is impossible. This changes when you change your expectations for breakfast; most of us historically see breakfast as a carb- and dairy-heavy meal, while in the AIP (autoimmune protocol) it’s not that way. If you google “AIP breakfast foods” you will hit a jackpot of great ideas. Enjoy! I do have a question about what can a vegetarian eat to still get protein and also to feel full and satisfied. I have all the symptoms of what you discuss and been bothered for 7yrs, controlling it with a gluten free diet until 6 months ago when I believe I entered full blown menopause. My family Dr. Looks at me like I’m crazy. The ‘no’ has a lot to do with the need to rebuild gut integrity and reduce inflammation by avoiding commonly inflammatory foods, which do happen to be the vegan/vegge sources of ample protein. Some folks go on the diet for a time until they can determine food sensitivities, regain gut health, and mediate other issues, then try letting go of some of the animal products. For a vege or vegan (I was one) it can be a hard choice to make, but for some of us, it is the only way to regain the gut and immune health after years of degradation. If you are willing to eat fish and bird, it’s more doable. I’d also encourage you to do a web search for “vegetarian AIP” and see what you find. Would this also be considered a paleo diet? Answering Angelica’s question. The autoimmune diet above is not considered a Paleo type. There is much in common however Paleo diet’s permit eggs, seeds (and seed-based spices), nuts, nightshades and other foods that are considered lectins. 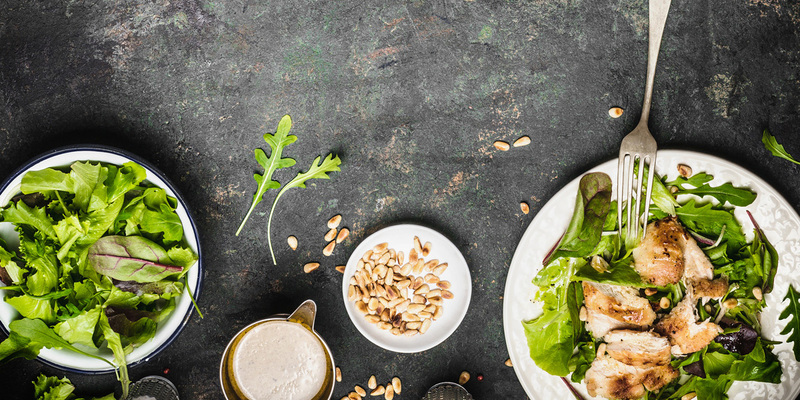 Many individuals are able to start on the autoimmune protocol for a period while they are healing their gut and addressing nutrient deficiencies and imbalances, and then progress onto a less-restrictive food plan (i.e., like Paleo, or Mediterranean). This will be individual specific. 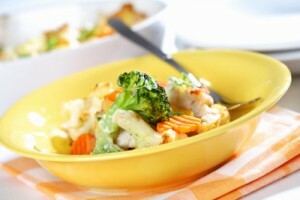 The diet on this page has multiple names, such as Autoimmune Protocol, Autoimmune Paleo Protocol, Autoimmune Diet, etc. It is more restrictive than regular Paleo. If you are asking if it comes from the same “eat what our ancestors ate” standpoint, then the answer is no. This diet was created to work with the issues listed in the section titled, “The autoimmune diet focuses on these key areas”. If you want a more detailed rundown of the similarities and differences between the diets, just do web search for “AIP GAPS FODMAPs PALEO” and you’ll come up with some good options. Thanks for the catch on the cumin editing error — cumin is a seed based spice, so it’s not allowed. We’ll have our web team fix that. Ashwagandha is recommended in the book specifically for thyroid, as it helps with production of thyroid hormones and acts as an adrenal adaptogen. It is in the nightshade family, so on a strict autoimmune protocol, most people avoid it. However, sometimes the benefit of an ingredient for a specific purpose outweighs the more general guidelines. If daily I’m taking short chain fatty acids and glutathione (through food choices) and diverse veggie smoothies continue to blow me up like a pufferfish after 30 days, what does Dr. K recommend I explore next to fix my SIBO? Many autoimmune patients are reluctant to change their diet. It can be a daunting challenge, and it can be one of the best things you ever do for yourself. Peruse the food blogs on this list (https://www.thepaleomom.com/recommended-aip-resources/), and you’ll get a better idea of how amazingly well people eat on this dietary protocol. I’ve been on it (w/some reintroductions over time) for over 4 years, and I eat better now than I ever ate before I started it. And, I am well again. I’d suggest going onto one of the large Hashimoto’s support groups on Facebook and ask for people’s opinions on the topic. I need to pick your brain. I have Hashimoto’s, my cat has stomatitis. Your diet will work for a human, but I have to figure one out for an obligate carnivore. Will someone please let me talk to them? This is ticking me off. Yes, you have something to sell, I respect that. But you hide behind your site. Now, do you suppose I can actually hear from someone who knows something? Sorry, not sorry about my attitude. It’s hell to pay trying to reach someone. Please read all the way through this. While you won’t get the answer you want, I offer some leads here that may help you help your cat. We’re sorry, but Dr. Kharrazian is not available for consults on the blog or via email, no matter the severity of the situation. He does not hide behind his website. His work is focused on his in-person patients (not to mention he also has a years-long waiting list — literally thousands of names — which is closed at the moment because it got too large), teaching the protocols to hundreds of other practitioners at a variety of institutions nationally and abroad, and also doing ongoing research at Harvard and other institutions in an effort to bring about deeper knowledge and better treatment protocols for people with chronic illness. Very few functional medicine practitioners have the time to personally answer blog questions, and if they even have comments open on their website, most have a team of assistants such as myself to field general questions. They do not answer directly themselves because they literally do not have the time. While Dr. Kharrazian presents the information on his website for the public because he wants it to be widely available, it’s not a venue for or avenue to personal consultation. With that said, I have some suggestions below that I believe may get you where you need to be for your cat. I have an acquaintance who has a blog about autoimmunity, who had a cat with an autoimmune condition (a possibility with your cat) that presented symptoms much like stomatitis. She cured her cat’s symptoms with functional medicine protocols very similar to what Dr. K uses with his patients. Her name is Christina, and here is the link to her article about the cat: https://www.acleanplate.com/how-i-functionally-cured-my-cats-autoimmune-disease/. Christina is a die-hard cat person, and very, very knowledgeable about this topic in humans (and in cats) and might be a good resource for your cat. I encourage you to reach out to her politely and respectfully. If she does not have your answers, since she went through this with her cat, perhaps she can refer you to practitioners who work with animals that have similar health conditions. Such vets do exist, although they can be a bit harder to find at first. And yes, there are vets who work with similar dietary (and other) protocols to what we use in functional medicine for humans. With that in mind: While having had a number of dogs over the years who benefitted from non-mainstream therapies, I found out about the American Holistic Veterinary Medical Association — this organization lists vets who are trained or certified in non-“conventional” protocols here: https://www.ahvma.org/find-a-holistic-veterinarian/. I suspect here you will have some luck finding someone who can go the distance with your cat. On their site, you will find you can filter by Practice Type (ie: type of animal), Modality (such as nutrition, acupuncture, etc. ), and Location — I’d encourage you to start with narrowing only the location (if at all), and leave the other categories alone; very few vets are cat-only, and if you limit it there, you will strictly limit your options. I know plenty of vets who are fabulous wholistic vets and treat dogs and cats and all other animals equally well. Next, I would search by Modality (which will take some time), and still not limit by animal type. Good luck. I know how frustrating it is when conventional vet medicine isn’t bringing the needed results. And for your cat’s sake, please remember that the positivity you put out will come back in spades. What do you suggest for someone who wants to follow this protocol but due to osteoporosis, needs to stay away from meats and other foods that are highly acidic? Is it possible to do both? That’s an extra challenging topic. Most authorities on the AIP say it’s really not possible to get the nutrient density necessary for autoimmune needs considering that the legumes, nuts, seeds, grains, and dairy – all the protein heavy hitters on a vegetarian or vegan diet – are prohibited (for specific autoimmune reasons). For a really good overlay of the what, why, and how regarding the AIP, read Sarah Ballantyne’s book The Paleo Approach. It will help set the foundations for your discussions on now/if to wrangle the AIP with your dietary advisor. Her website is The Paleo Mom. There are people who say one can do the autoimmune protocol (AIP) as a vegetarian, but it’s very difficult to get the nutrient density in the forms needed to support autoimmunity. If you google vegetarian AIP you will find resources and bloggers who say they are doing it, but I haven’t perused their websites and can’t speak to their knowledge base. Some folks successfully use the AIP eating only fish and bird as meat sources. However, doing AIP this way leaves a potential gap where the mammal organ meats offer *so much* nutrient density (including Vitamin K which is key for remineralizing bones – and by the way, natto, sadly a soy-based food is the best source of K), so extra attention needs to go toward covering those bases. I did AIP this way for a few years and felt great, then went to eating red meat as well to maximize my diet (I do not have osteoporosis). I’m not very familiar with the bigger picture on osteoporosis, so I’m not sure if this no red meat/yes white meat would be an intermediate option for you. On a personal note: If I were in your shoes, I’d want to address the autoimmunity as much as the osteoporosis. This is NOT a recommendation from Dr. Kharrrazian, but what I would do is try the strict AIP for 30 to 90 days to see how it affected my autoimmune symptoms, and then, with guidance from a functional medicine practitioner who is very familiar with AIP and its science, start reintroductions – slowly and methodically. Though nuts, beans and seeds are not at the top of the reintro food list, I might push them close to the top to start (hopefully) getting some of those non-meat proteins back in my diet. If successful, I’d then start weeding out some meat sources to accommodate the osteoporosis issue. All in search of finding a middle ground where I mediate my autoimmune symptoms and maximize my bone density. I have known folks who successfully reintroduced nuts, legumes, and or seeds. 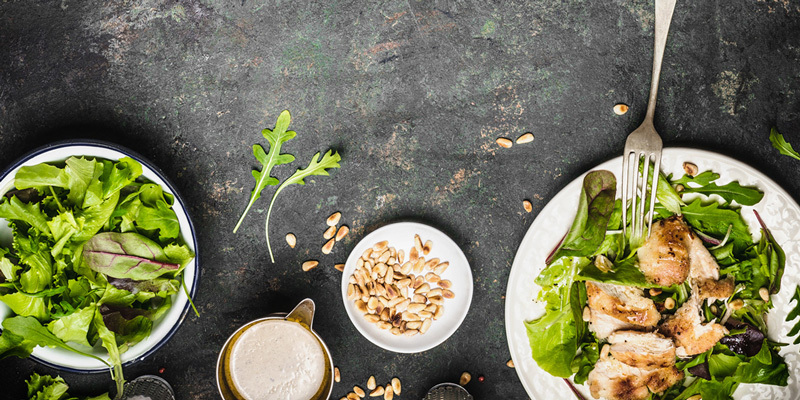 It may be that you find a middle ground where you eliminate gluten (do it now if you haven’t already), plus dairy, soy and corn (some of the worst culprits for gluten cross-reactivity) and still consume some of the other non-meat proteins. Also, get tested for gluten cross-reactivity. Dr. K will be publishing a blog article on all the Cyrex test arrays soon. Or, go to joincyrex.com and look at their panels – read about “Array 4 – Gluten-Associated Cross-Reactive Foods and Food Sensitivity”: https://www.joincyrex.com/arrays-for-patient. Good luck, and please keep us posted on what you decide, and how it goes for you. There are a lot of changes here compared to what was originally posted as the diet protocol. It now seems to align more with Paleo Mom’s AIP. I know Dr K has been doing a lot of food studies, and expect AIP to evolve accordingly, but where is the science to back the changes that have been made? For example: why are tomatoes a never to be reintroduced food? He no longer excludes all sweeteners for blood sugar regulation, has removed the high glycemic fruit list, coffee is now ok in moderation yet coffee is a seed, and mushrooms have changed to only exclude medicinal mushrooms. There is also no mention of legumes in the reintroduction order or the not to reintroduce list. Is there some clarification on these changes to the protocol? Hi I bought a supplement that contains rice bran is this okay or is it in the same category as rice. If you are avoiding rice, then rice bran is also excluded. As time passes, the protocol will change to reflect new research as well as widespread anecdotal findings noted in the practitioner community. Dr. Kharrazian’s initial list was created some years ago, and in some ways it was more strict, in other ways less strict, than what you see now. Tomatoes are under the “Consider never consuming” list because they are so highly inflammatory. The blood sugar issue has to be managed per the individual – and that threshold can change over time in response to stress, inflammation, and other underlying factors. Some can handle some sweeteners and higher sugar fruits (in moderation), but clearly those who can’t would need to be more strict. Some people can tolerate coffee and frankly most coffee drinking patients won’t obey a no coffee rule anyhow, and the stress over it is worse for them than consuming it. Yes, its’ a bean (and now I’ll repeat the former sentence, wink, nod). Legumes: Note that under the “Consider never consuming” section, it says, “Reintroduction of other foods depends on your individual health history and needs.” Legumes can be on that list. If a person wants to reintroduce legumes, then it should be done using the standard reintro protocol. Also, read the next section “Lectins in grains and legumes”. Every patient is different. Some can reintroduce legumes, or tomatoes, or rice, but it’s not necessarily recommended due to known issues with molecular mimicry, gut inflammation, brain inflammation, etc. One has to make those decisions (ideally in concert with a qualified healthcare practitioner) and then see how it pans out. And as life goes on, one’s personal tolerances change and we as patients have to adjust to that. And of course, gluten is always a big NO because of its power to damage the brain and other organs. 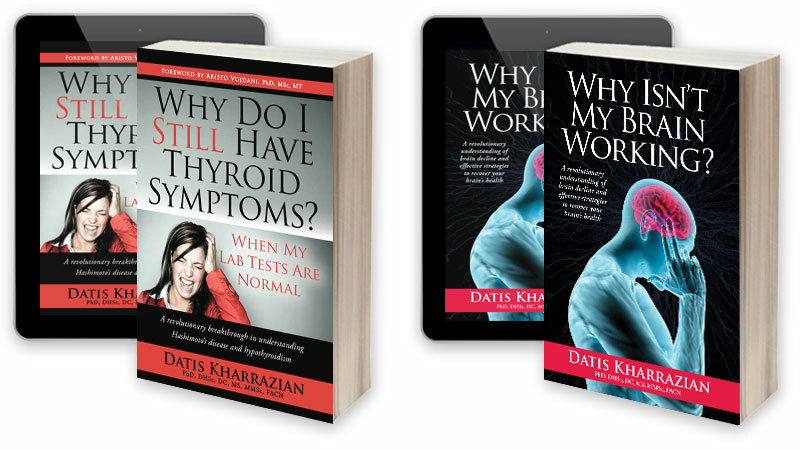 One thing Dr. Kharrazian is firm on in his practice is that a one-size-fits-all protocol doesn’t work for everyone. A practitioner and patient must work together to find the best combination for that patient. However, having a starting point such as the AIP or the protocols in his brain book is a helpful tool. As time goes by, we’ll see more changes in the AIP and other protocols. We have so much to learn about autoimmunity and chronic illness! Will Kelp and Seaweed fall under the AIP diet? That will depend on the patient. 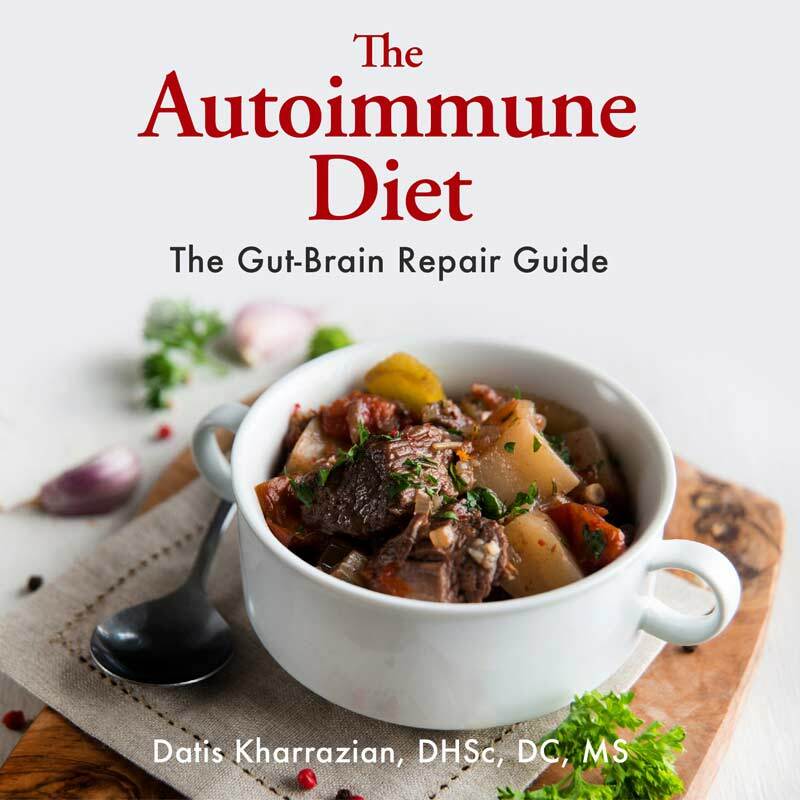 Dr. Kharrazian recommends against high-iodine foods because he has too often seen how iodine can drive TPO antibody production (https://drknews.com/iodine-and-hashimotos/). Some patients whose lab tests show a true iodine deficiency will eat them. If you choose to consume them, get your TPO tested periodically to find out if it’s going up. Hi. I have to follow the list of food avoidances that Dr. Kay listed. This is a lifestyle for me because I cannot re-introduce these foods because I am so allergic and have severe autoimmune disease. Now with the newest diagnoses of relapsing polychondritis it has even been suggested to give up all meat/animal food sources. What food can I eat? I am at a loss. Sorry to hear you’re suffering so much. Sadly, Dr. Kharrazian isn’t able to give medical advice via the blog or via email. Without a full exam and health history, it would be impossible to tell you what to do. Below I offer some info that may help you find the help you need. You mention food allergies. There is a difference between food allergy and food reactivity, so make sure you know what you have. A food allergy is less common immune system issue, and it is generally something that will not go away over time. 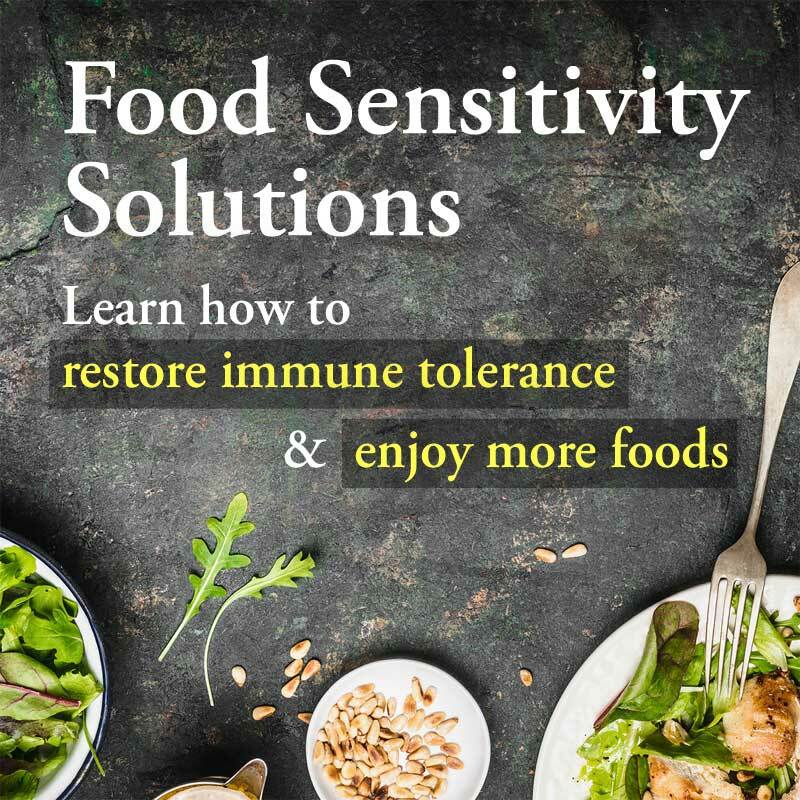 However, food sensitivities can change with the proper treatment protocols – that has a lot to do with how your immune system is registering food proteins. If you are not familiar with the differences, it’s worth learning about so you can talk to your healthcare practitioner about options you may have. In your shoes, I’d get a second opinion about the no meat/animal products, as well as reintroductions of foods. A properly trained functional medicine practitioner knows the differences, can help you figure out what part of your immune system is over-reacting, and help you dial in on solutions that my lead to eating more foods, such as improving your immune function and supporting your oral tolerance (oral tolerance is your body’s ability to recognize food proteins and react appropriately). Dr. Kharrazian has written some new articles on oral tolerance recently, and he is also offering an online course about it. All the information is available for free in his articles, and the course (has a fee) is offered for those who just want to be guided through it. To find the articles, just use the search bar with “oral tolerance”. All this oral tolerance business is well-known in the research community, but it’s really just recently started coming out for the public, so there are practitioners who are not yet up to speed on it. The more you understand about it, the better you can be at discussing it with your doctor. If they are not familiar with it…. find a new one. I am not familiar with relapsing polychondritis, so I can’t speak to the advice of no meat/animal products, but in your shoes, I’d still seek a functional medicine practitioner who understands autoimmunity, food sensitivities, food allergies, and how they all tie together. I suspect you may have more options than you were led to believe. Don’t lose hope. The practitioners on Dr. K’s referral page should all be up to date on this info: http://brainhealthbook.com/find-practitioner/. Regarding doing the AIP as vegetarians; there are folks who try it, though I don’t know how successful they are at getting enough protein or quelling their autoimmunity. If you search AIP vegetarian you can find websites, but Dr. Kharrazian doesn’t recommend going that route. Hello, I’m a young guy (age 31) with psoriatic arthritis, and I’ve been researching and starting to follow the AIP diet. However, I live and teach in a college town, and I often work late– and I’m finding it difficult/impossible to find things to eat when I’m out and about. I’ve tried preparing meals in advance, but I often need to pack two meals a day, and it gets to be too much to handle– so then I get stuck and have to purchase food over the course of the day. I’ve found that most healthy/Paleo-style snacks contain beans/chickpeas, peanuts, whey protein, or occasionally cheese. My question is this: is there a hierarchy of how bad these ingredients are for a person with an inflammatory disease? In other words, if I find myself needing to compromise on this diet and allow occasional consumption of one of these types of foods, which is the least harmful– or which will do the least to sabotage the overall aims of the diet? As a side note, I’ve never been aware of having any food sensitivities or allergies, and I don’t notice any additional symptoms when I eat these foods. That makes it hard for me to tell which of these foods may be adversely affecting my health. Thanks for this excellent resource, and for any insights you can provide! Glad to hear you are trying to get the diet dialed in for when you are out and about. While there is a priority list as far as reintroductions, that doesn’t always mean one food will be more or less reactive as a rule for everyone. Every body is unique, and the only way to know your food in/tolerances is to do the elimination diet, and reintroduce (slowly and properly so you don’t muddy the water) and see what your body tells you. Cyrex Labs offers accurate food sensitivity testing, but it is pricey. A properly done elim diet should tell you just as much. I would not use any other lab because most only test one version of each food, whereas Cyrex tests multiple (raw and cooked). A body can react differently to different forms of one food. Food sensitivities may or may not show up as obvious, immediate symptoms. You can have a sensitivity that instead of making you bloat or get an instant headache, for example, you instead get brain inflammation, or a cross-reaction that drives the autoimmune attack on an unexpected organ. Also – many folks, esp when they start an elim type protocol, are sort of “muddied” – the body is so confused by all its reactions and inflammation, it’s hard to tell what is making you feel what – or even if. Cleaning up the diet can make you more aware of how a food actually makes you feel. I love how thoroughly you cover questions! Struggling with PD symptoms, debilitating fatigue and weakness, environmental toxicity (heavy metals, mold, pesticides) EBV, my body is so uncomfortable. I am unable to work and am very low functioning. I also had a concussion (fall from horse) about 12 years ago. I have seen many drs/practitioners over the last 7 years, followed elimination, etc diets, had many alt treatments, taken a multitude of supplements/herbals/minimal pharmaceuticals, etc and I continue to decline. Not to mention the gargantuan expense of all of it. I live now with my mom, she’s 83, I’m 62. She’s been a sport with my current fairly restricted diet but has memory issues she’s not willing to admit or address. Since I can’t grocery shop we end up with non organic produce and “natural” animal products. Which I don’t want to eat. We have someone that cooks once a week for us; I’m not capable, mom doesn’t want to. Our cook also struggles with understanding and incorporating my dietary restrictions. Finding another cook in this area of southern AZ would be very hard. My current dr wants to put me on a slew of BHRT, which is his specialty. Bandaid and red flag! With all that said, any tips for help with the food issue? Also, I found dr Kari Vernon on your referral link. She’s about 2 hours away. Do you think she could help me where others haven’t? Or would I be better off trying drK’s 6 week online course? I’m very discouraged, totally broke and so tired of my years of suffering with very little quality of life. I believe my body can heal but it seems there’s missing puzzle pieces not found. My faith and hope waxes and wanes, and I think I also have past emotional, physical and abuse traumas that are contributing. One more thing, my mom keeps suggesting Mayo Clinic for “real” drs and I do not like that idea. I’ve heard/read lots of negative for chronic illness. Sorry for the lengthy post, my situation is too complicated for one paragraph. The brain course doesn’t cover all the bases you mention, and it doesn’t involve personal consultation with Dr. Kharrazian, so in your shoes I’d go right to Dr. Vernon. I hear great things about her, from her treatment protocols to her warm ‘bedside’ manner. Your mention of missing puzzle pieces — she will be able to help. If you can sit down and talk with the cook about the medical reasons behind your dietary needs, perhaps that would help. The term “medical” tends to get folks’ attention. Not necessarily a lot of detail, but “I need to avoid “xyz” per my doctor’s recommendation because it causes me to have “pdq” symptoms. I’d draw up a list of foods I can’t eat so the cook is aware of what not to bring home. I’d also come up with a set of simple recipes that work for me, and ask the cook to make them on a rotating basis. It may take some work to get compliance, but they are working for you after all. On this website below is a list of food bloggers that stick to the type of diet that Dr. Kharrazian recommends — some focus on super-simple recipes and perhaps you can find some to just pass along to the cook: (https://www.thepaleomom.com/recommended-aip-resources/) — scroll down to “AIP-Approved Bloggers”. If you see Dr. Vernon, perhaps she can help draw up a more official list for your cook. Sometimes it takes the official word from the doctor to make others believe what you are saying. I can’t reflect much on the Mayo clinic other than to say they are fairly mainstream in their approach — for some that’s perfect, for others it’s not enough. It sounds to me like you have the motivation and the right attitude! That right there is a lot more than many people have going for them. Hi, I am diagnosed with Hashimoto Thyroiditis. Trying to do AIP. I am a vegetarian, cant eat meat. My ok to eat foods are only vegetables. It is very tiring. Can I add some lentils? Being on AIP when veggie can be a special challenge because protein options are so limited. It’s not recommended to add legumes due to the chance for gut irritation. I wish I had an easy answer for you, but I do not. There are people who claim they do AIP successfully on a vegge diet, but I can’t vouch for that. It would take a lot of diligence (and a lot of eating) to get the proper macros (ratios of protein, fat, and carbs) for the body to heal. If you decide to add in a vegetarian protein source, definitely do not add in grains (even the non-gluten grains such as corn, etc. ), as so many of them are known in the research to be cross-reactive with gluten. If you are not familiar with cross-reactivity (also called molecular mimicry) you can find lots of info online. I’d add legumes, nuts, and seeds as the last option: and add in the food in proper reintroduction style (above in the article). Can you tell me, which one is the right one to order? Thanks for your answer. KR22 is the regular Oxicell. KR23 has a higher concentration of glutathione and superoxide dismutase per application than KR22. KR70 is Oxicell SE – it does not include essential oils for the benefit of those who may have topical or aroma sensitivities. You would need to decide which one might suit your needs best. In your shoes, if KR70 was not the first choice, I’d start with KR22 and see how I do with it. Hi, Great plan. Just wondering why Slippery Elm needs to be avoided? Most seem to suggest it helps with leaky gut. Thanks. That’s a good question. Mucous-producing botanicals such as aloe vera, slippery elm, chia, and flaxseed can hinder digestion, in some cases are high in phytic acid or high in phytoestrogens, and are shown to modulate the immune system. All of these effects can be problematic for those with autoimmune disease. HI i am curious how you feel about an Aip/ketogenic aproach? I have Tried the Aip diet as lower carb and higher carb but my blood sugars are so sensitive that i’ve had to resort to a ketogenic diet. I really don’t want to do a ketogenic diet but it seems to be what works best for my brain function. Everytime i’m on the ketogenic diet i always cave after a few weeks because of carb cravings and low mood but as soon as i have the carbs my brain fog gets way worse and i can hardly function, i’m not sure what to do… PLease help if you can. 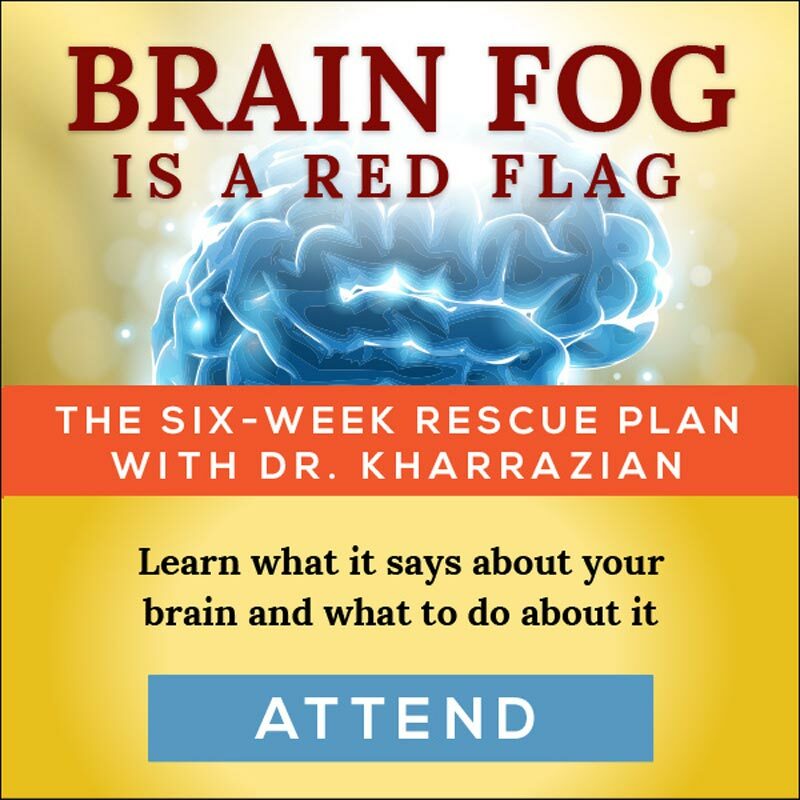 Dr. Kharrazian has a lot of his patients go on a keto diet; especially the brain-challenged ones). They are also largely on an AIP-type protocol, though he makes allowances depending on how limited their diet is (ie: too much limiting reduces oral tolerance, its own evil can of worms). Sounds like your body and brain are begging you to stay on keto for a while. I feel your pain, I recently started Keto/AIP. Been on modified AIP for years but started keto about a month ago. Fell off the keto wagon once already. 1. 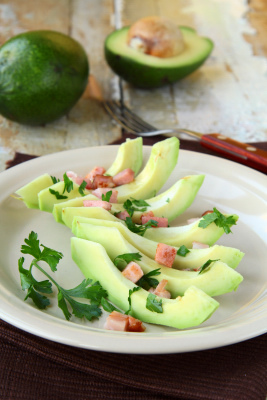 Make sure you are getting enough keto-approved fats. I use the keto calculator on ruled.me website to figure out my boundaries, then enter the info on myfitnesspal.com to track my daily progress. It’s really helpful. – have fat bombs ready to go (google keto fat bombs…. many many recipes). 3. Are you doing high intensity exercise? That can help with food / carb cravings. 4. Read on ruled.me about how being on a keto type diet with too much protein can actually prevent your body from making ketones – your body turns the extra protein to glucose…and you’re not really in ketosis… bad cycle. Keep that protein down to keto-limits. The fact that going back to carbs gives you brain fog is a clear sign your brain is begging for help. In your shoes I’d work with my healthcare practitioner to mediate the other autoimmune factors… leaky gut, inflammation, possible MTHFR, micronutrient deficiencies, hormonal imbalances, etc. — and then read the articles it links to. I am just beginning the autoimmune diet and am wondering if locust bean gum should be avoided. I purchased the So Delicious coconut yogurt which has no guar gum, BUT it does have locust bean gum. Are all gums to be avoided? Thanks for clarifying. Yes, it’s recommended to avoid all gums, as they can be gut irritants. I buy CoYo coconut yogurt. It’s not cheap, but it is AIP compliant and it’s REALLY good! NOTE: the plain is compliant, the flavored versions are not. I like it plain, and for flavor sometimes I’ll add a bit of blueberries. Keep up the good work for your body and brain! I really appreciate if you can clarify if supplements that are recommended by Dr. Kharrazian to heal leaky gut (like Aloe extract, slippery elme bark) should be avoided during the AIP diet. Also was wondering if Monk fruit is accepted as a sweetener. Under the list of approved foods- Low glycemic organic fruits – it states “Keep sugar intake between 10 and 20g per day” is this total per day or just for fruits?? Why is s Stevia a no no?